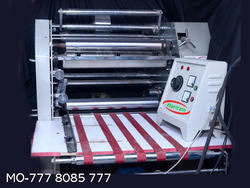 The clients can avail from us the finest BOPP Lamination Machine, which is used for laminating different film on paper. 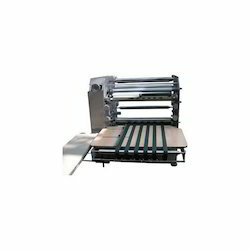 In addition, the BOPP Lamination Machine is used to make Silver craft paper in Different GSM. 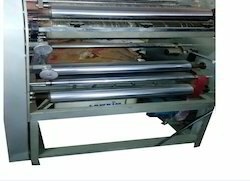 The company is a well-reckoned Film Lamination Machine Manufacturer and Supplier in India. Paper Plate Size: 4" to 16"
We are known as the prominent organization to offer a wide range of Automatic Corrugated Paper Plate Lamination Machine. 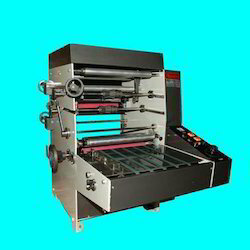 This lamination machine is manufactured by our qualified team of professionals as per the needs of customers. Our quality experts conduct numerous tests on our lamination machine for assuring its quality and long service life. Our firm is a reputed manufacturer, trader, distributor, wholesaler, and supplier of an assorted gamut of Roll to Roll Lamination Machines. 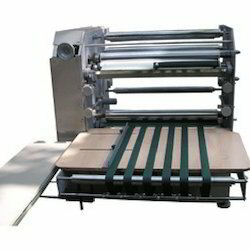 This lamination machine is given in numerous specifications to choose from. 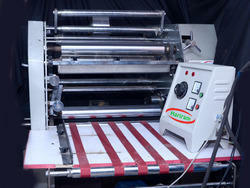 We check this lamination machine on various quality provisions so as to deliver a flawless range. 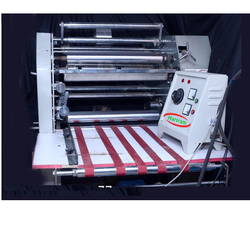 This lamination machine is manufactured using prime grade basic material in order to maintain their compliances with industry set standards. Paper Plate Size 4" to 16"